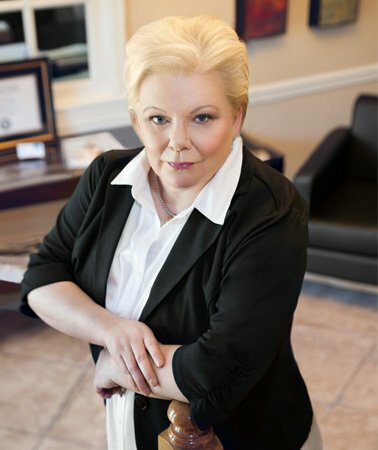 With offices in Arab, Guntersville and Scottsboro, Alabama, the family law practice at The Hawkins Law Firm encompasses all divorce-related matters, such as child custody, support, and property division, as well as other issues such as paternity, adoption, grandparent rights, and domestic violence. Below are some answers to questions which are frequently raised in the divorce and family law area. For immediate assistance with a specific family law matter in Marshall County and surrounding counties, contact The Hawkins Law Firm. Q. How long does a divorce take to be finalized? A. At a minimum, there must be 30 days between the time a complaint is filed and a divorce may be granted. However, if there are any contested issues at all, such as over the property division, spousal support, child custody or child support, then the process can take considerably longer. If these matters must be litigated, and if the marital estate is large or complicated, a divorce may take six months or more to complete. While you may want the divorce to be effective as soon as possible, it is more important that your rights are protected and long-term interests are reflected in the final divorce decree. Interim orders regarding custody, support, and other matters can be utilized while the major contested issues are being worked out. Q. Once a divorce decree has been entered, is it possible to get it modified later? A. Divorce orders as to support, custody, and visitation can be modified in a later proceeding, if the party seeking the modification can prove that circumstances have changed enough to warrant a modification. Common examples of changed circumstances include an increase or decrease in the income or expenses of either spouse, or increased expenses or needs of the children. Property settlements, once final, cannot be modified for the most part, regardless of changed circumstances. Whether an award of spousal support (alimony) is modifiable depends mainly on whether it was awarded in one lump sum (generally not modifiable) or in the form of periodic payments (may be modifiable). Q. Does the custodial parent have the right to move far away from the non-custodial parent? A. The Alabama Parent-Child Relationship Protection Act (Title 30, Chapter 3, Sections 160-169.10) applies to any change in the child’s principal residence which takes the child more than 60 miles away from the non-custodial parent. This law requires either parent to give notice to the other parent before moving. The non-relocating parent has 30 days to object and oppose the move in court. The court has authority to grant or deny the objection, and to alter the custody arrangement previously ordered in the divorce. The court may also alter the amount of child support to take into account additional expenses for transporting the child for visitation. The law presumes that a move is not in the best interest of the child, and the custodial parent has the initial burden of proving that this is not the case. If this presumption is overcome, the non-custodial parent must then try to convince the court of reasons why the move should not take place. Custody disputes can sometimes be among the hardest fought of legal battles. It is important to have a strong, effective advocate on your side in these matters.